Alex Haley was a Distinguished Lecture Series speaker in 1981. A few years earlier he spoke at the Student Methodist Center across from FSU. I went to hear the co-author of "The Autobiography of Malcolm X" which was assigned reading in high school. Instead of speaking on Malcolm X he told the complete story of his family going all the way back to Kunta Kinte and his family. In his barrel chested, baritone voice he was riveting. When he finished the room was absolutely dumb founded. It was the first any of us had heard of his miraculous tracing of his lineage to Africa in the 1760's. Considering that so many generations of his family had no last name, and their first names were assigned to them, he found a needle in a series of haystacks. Of course it was the story of Roots: The Saga of an American Family and the subsequent ABC mini-series viewed by 130 million people. While the names and life stories are largely fiction, he referred to it as "faction", it can probably best be best considered a novel. None the less it's fascinating reading. 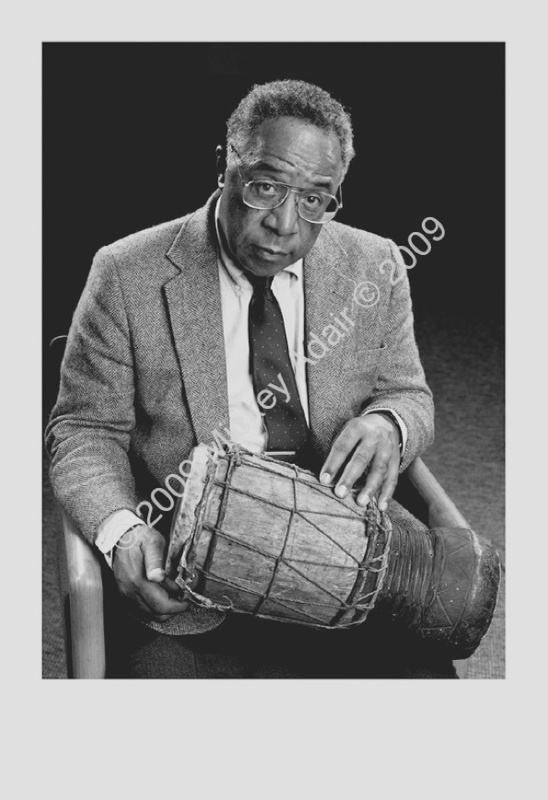 The ancient African drum was on loan by Professor James Eaton, director of the FAMU Black Archives.